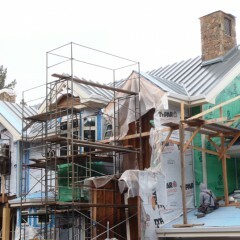 LeDuc & Dexter Inc. is currently working with Leff Construction on a green residential project in West Sonoma County. 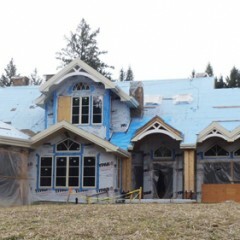 The home is approximately 4,000 square feet and has additional roof-covered, porch style, living spaces. “The driving force behind the home is to provide a low carbon environment using sustainable materials and products”, says David Leff, President of Leff Construction, which was founded in 1978 and now emphasizes green building in their new construction and remodeling projects. 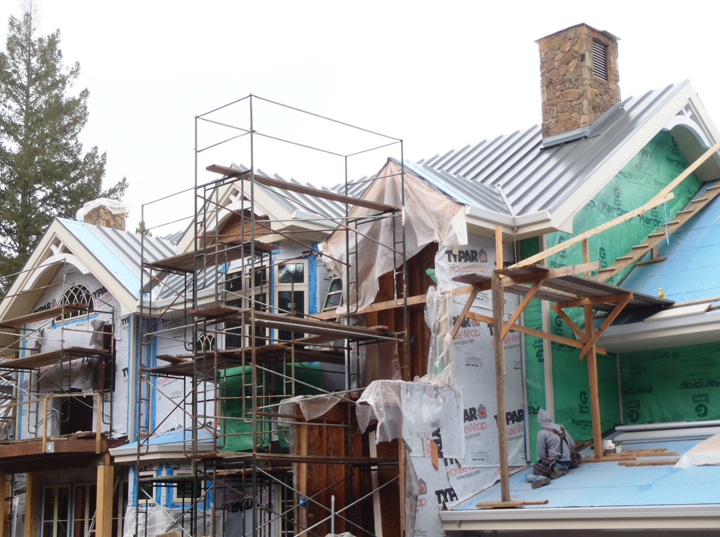 This home, which is being built to LEED Certified standards, is due for completion in about seven months and is in the “close in” stage with the rough plumbing and electrical now being completed. 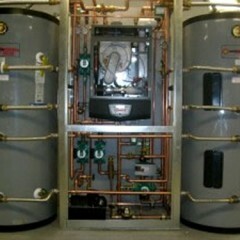 The mechanical and ventilation system has a pellet boiler heat source that combines with a hydronics forced air system to produce carbon free heating. LeDuc & Dexter is an official dealer for the Froling pellet boiler, which comes pre-wired, and although it is a relatively new product in the U.S. it is well-established in Europe. The home has a solar panel array flashed into the metal roof, which is the source of power for the solar thermal system to preheat domestic water and provide space heating. 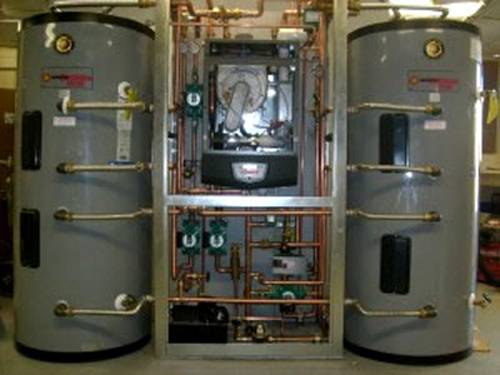 The prefabricated mechanical room, which controls the heating system, can be monitored and adjusted with a laptop computer. LeDuc & Dexter is also installing radiant heating in the floor and walls of the master bathroom. The home is well insulated with SIP (structural insulated panels), which are eight inches thick for the walls and twelve inches thick for the roof with a foam-filled cavity. About 90% of the piping and wiring is behind interior walls and pony walls have been created to accommodate wires and pipes, which does not disturb the integrity of the SIP insulation system. David Leff and Tom LeDuc, President & CEO of LeDuc & Dexter, have a long history. Back in the late seventies when solar products made their debut, Leff and LeDuc were members of the North Coast Solar Builders Association and they both worked on passive solar projects. Fast forward to now and they both serve on the North Coast Builders Exchange Green Building Committee , where David Leff is the Chairman, and they are also working together on a new green building project.